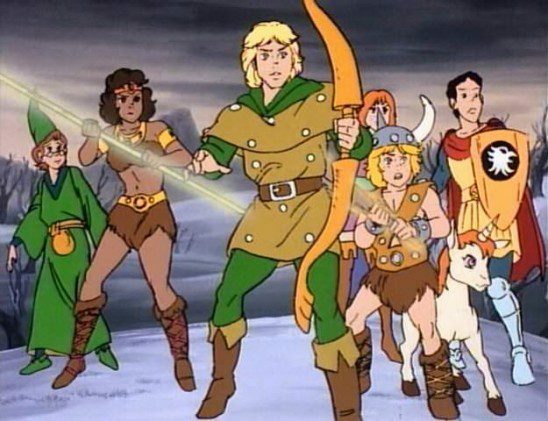 The characters in the Dungeons and Dragons cartoon took every one of these. Skills are put into roleplaying games for a reason. They allow characters to do something they otherwise couldn’t – most of the time. Once in awhile, you come across a skill with no clear use. Some are overshadowed by another, better skill. Others simply never come up, leaving you with a fork when all you have to eat is soup. Yet others serve no logical function at all. Let’s look at the worst offenders. This first entry pains me because I’m very fond of Torchbearer (TB), but Mentor is an unusable skill. At first glance, it looks great. Helping fellow PCs level up their skills sounds amazingly useful. It’s only in the fine print that problems arise. The base difficulty, or obstacle as TB calls it, is equal to the student’s Nature stat. This is probably because the higher a character’s Nature, the more set in their ways they are, and the harder to teach. The problem is, Nature is a powerful stat, and PCs try to keep it as high as possible – so high that the chances of succeeding a Mentor roll are discouragingly low. Failure isn’t a bad thing, but constant, unending failure is. Unlike other skills, the GM isn’t free to set their own difficulty for easier tasks. No one likes a skill they can’t succeed at. But what if a PC min-maxed their abilities into a really high Mentor skill; would it be useful then? Not really. A secondary requirement for using Mentor is that a character must have whatever skill they are trying to teach at a higher rank than their student. If you want to use Mentor on someone with Fighter 3, you must have Fighter 4. In Mouse Guard, you could get a third character with Fighter 4 to fill in, but not in Torchbearer. The more of their resources a character puts into the Mentor skill, the less they have to raise other skills. Paradoxically, being better at Mentor also makes you worse at it. According to the book, characters with the Politics skill are “experienced with bureaucracies and know exactly who to call in a given situation…” What does that mean? Is it for navigating the DMV or bailing your fellow PC out of jail? Both of those feel like they’d be better covered by a social skill. Is it for general knowledge of law or the government? That sounds like an Academics roll. 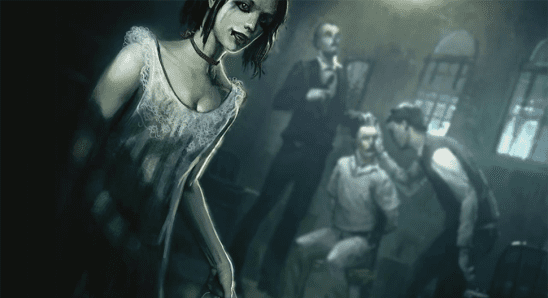 NWoD is a game of Gothic horror. Characters won’t often run for office or try to get a health care bill through Congress. But even if they were trying to play politics, it’s unclear how this skill would be used. Any situation interesting enough to require a roll is better served by other skills. Imagine you’re playing a game of Pathfinder. You’ve just slain the marauding red dragon and recovered a flaming sword of giant’s bane from its hoard. Now that you bear this mighty weapon in your hands, the first thing you do is… determine its market value? Appraise is a skill for figuring out how much something costs. Some systems have tacked on secondary functions, but that’s its primary use. Unless you’re playing Pawn: The Shoppening, it’s pointless. While money is important in games like Pathfinder, those games always have the value of each item listed in the rules. Anyone who can open the book automatically succeeds on all Appraise checks. Yay! The only way Appraise could actually be useful is if the GM introduced serious market fluctuations, and that’s more work than anyone wants to do. How many players are interested in intense negotiations over the price of their +1 short sword? It’s strange enough to see Appraise in Pathfinder, where money is an important balancing mechanic, but it also crops up in games like Call of Cthulhu. What role could it possibly play in a game about investigating eldritch abominations? I have no idea. There are many, many investigative skills in CoC, and all of them are more useful than Appraise. Even when money is relevant to an investigation, Accounting is far more applicable. 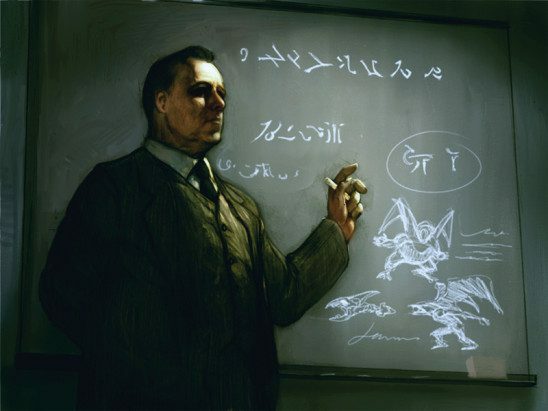 Unless you’re looking to liquidate your elder sign, there’s no reason to take this skill. As its name implies, Defense is a skill for defending yourself from physical attacks. How can such a skill be useless in a game about warrior aristocrats wielding three foot razor blades? The answer is in the mechanics. In Legend of the Five Rings, characters only use the Defense skill when they take either the Defense or Full Defense Stance. In doing so, they give up their ability to attack. * That means all these stances are good for is to stall a fight. In Defense Stance, the bonus is small, so your opponent will probably still hit you. In Full Defense, the bonus is larger, but you also give up your ability to move more than a few feet a turn. Your opponent can take their time, attacking you over and over until they finally get lucky and hit. Neither of these is useful for winning a fight. At best, you can avoid getting attacked while your allies do all the work, but you could accomplish the same thing by running. * Defense might be useful in a handful of edge cases – perhaps you’re an important daimyo cornered by assassins and waiting for your body guards to arrive – but they rarely come up in play. Every point spent on Defense is a point not spent on a useful skill. Highly dishonorable! Adventuring is cool and all, but haven’t you ever wished you could spend weeks on end working for a dozen gold pieces? No? Darn, because that’s exactly what the Professions skills are for. If you have a lot of downtime between adventures, you can roll them to get less money than you’ll find in dungeon’s foyer. Even worse, many other skills can substitute for Profession and be useful in their own right. If you can make money with Profession: Miller, surely you can do the same thing with Healer, charging to cure what ails people. Or Sleight of Hand, picking pockets all over town. If your GM won’t allow that, so what? The amount of money you make off a Profession roll is pocket change. Even a +1 item is worth hundreds of times what you’ll make. 3.5 D&D and its many spawns have too many skills as it is. Even with Pathfinder’s consolidation of Hide and Move Silently into Stealth, there are never enough points to go around. At best, the Profession skill can be used to represent an unusual specialty that’s important in your game. A ship-based campaign, for example, could make use of Profession: Sailor. Other than that, they’re of no use on your sword and sorcery adventure. While useless skills might seem benign, they can bog down your game. PCs will spend their hard-earned experience points on irrelevant abilities and find themselves unprepared for your challenges. Alternatively, players may derail the game to find a use for their skill, envisioning bizarre scenarios in which the city council passes anti-werewolf ordinances. If a skill never comes up, let the player change it! It’ll be better for your game. Even Animal Ken is kind of useful when you see how overpowered dogs are. Except Shugenja, who can still cast spells in Defense Stance, for some reason. In Rokugan, the warrior’s code is very clear that you should flee a battle if you can do no good there. Having gems and objects of art doesn’t justify having Appraise. It is only necessary if the DM will constantly make a point of having the NPCs try to con the PCs… and there are other skills for dealing with that (Sense Motive, Diplomacy). It is certainly possible to think of situations specifically tailored to use this skill… but it is ridiculously narrow compared to others. I find it weird that Use Rope, from D&D3.5, didn’t make it into the list. I only ever saw one situation in a game where it would actually be useful – and of course none of the players had taken it. So how do they make a rope ladder or know how to tie someone up really well or even make improvised shelters without the Use Rope skill? Honestly, I probably wouldn’t make my PCs roll for most of that. If it really mattered, I’d allow them to use Climbing to make a ladder, Escape Artist to tie someone up, and Survival to make a shelter. Most probably the whole idea that magical items, in games like D&D and Pathfinder, are more common than Samsung mobiles, and a super “second hand” market exists, makes the game super shite. Thinking just in general (not sure if this is skills or game mechanics), but when precious character points are used up for language skills when the game doesn’t give a base language that everyone shares. Reminds me of a 7th Sea game I ran where only half the party spoke a common language. So if the translator character wasn’t there, I would make the other players pantomime what they wanted. Funny but still not fun from a game design standpoint. I think a skill is only as useful or useless as the players and GM want it to be. In the games I’ve been in the GM imparts information based on the character’s skills. For example if you have a Professional skill related to construction you’re more likely to notice a secret door in the form of noticing something that was recently repaired or modified. If you had Appraise weapons you’d notice the arrows used by the Red Dog orc tribe are of higher quality than usual or even from a distant kingdom. So how did a bunch of orcs get these arrows? That’s what the players have to find out. There’s a lot of cross over and overlap when it comes to learning skills in the real world. For example Politics would also include bits of history, geography, economics, bureaucratics, even bribery. If the GM takes that into consideration these useless skills become less useless. Sounds like you’re a good dm. Thanks for the heads up on Torchbearer’s “Mentor”, Oren. 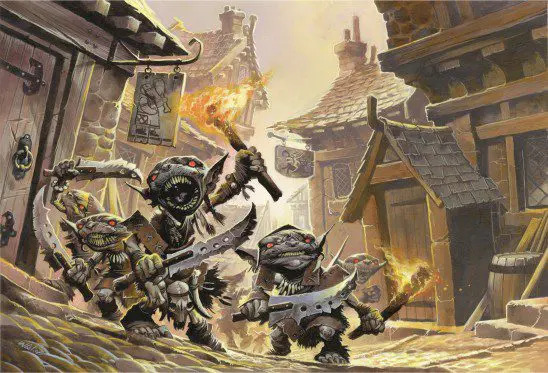 So in the past week of my reading your columns, you’ve tipped me off to this, the OP problem with “Attack” in Mouse Guard, and several things to look out for in Burning Wheel. Much appreciated. I’ve just bought them all, and will be running one or the other soon. Thanks a lot. Your site is amazing, and your writing is top-notch. Woot! I’m glad to hear you’ve got three of my favorite systems on your shelf, and that I’ve helped you be ready for their weird little quirks. I’m pretty sure defense is far from useless in L5R. Increasing the TN to hit you is very valuable, and while you can not attack while using the defense stance you can do anything else. I don’t know how many examples you need, but it is often the case that a character will have to do something other than attack at some point in combat for a variety of reasons, and at those times defense helps. The most glaring example is Shugenja who will probably relatively rarely use the Attack stance in preference for casting spells. You’re right about the Shugenja caveat. I mentioned it in an aside, but perhaps I should have put it in the main text. I always forget it because it’s so counter intuitive, and kind of OP. Shugenja spells are already so powerful, I’m not sure why they need a bonus to their TN to be hit while casting them, and I don’t imagine someone who is chanting prayers and reading from a scroll would be the best at dodging blades. As to other types of characters, yeah, there are a few edge cases where someone might want to do something in combat that isn’t an attack. Maybe they need to kick down a door or something. But those are pretty edge cases in my experience. Most of the time, a bushi will want to attack the enemy, and at that point Defense serves no purpose. Better to save your points for Reflexes, which is always useful. You are correct that under normal circumstances Bushi will want to attack, but there will be times that they either can not or it behooves them to do something else due to the situation. In addition to shugenja there’s also a lot of schools who really don’t even do combat as their main thing. Characters playing these schools will also benefit greatly from defense since their ability to effect the combat through attacking can be limited. I’ll agree that in some ways defense is a poorly designed skill since it is supposedly something Bushi are good at, but mechanically shugenja and courtiers have the most use for it since Bushi will normally want to be in attack stance. That said, it really can not be said that it is useless since it benefits a LOT of schools supported by the system more than most other skills do. Sorry, this should all have been said in one post not three, but I remembered another factor that actually makes defense useful for Bushi as well. When you get damaged in L5R you go down fast and take sizeable penalties. If you’re hurt pretty bad then you might not be able to make an effective attack, plus if something hits you your character could straight up die, time to make a new one. The wound penalties don’t effect how hard you are to hit though, so it behooves wounded Bushi to use the defense stance and let their allies finish a fight rather than make a feeble attack and increase the risk of permanent death. No worries, I love talking L5R. I practically grew up on that game. 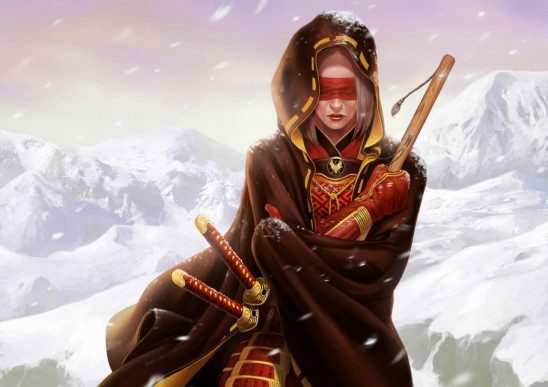 The situation you describe isn’t unheard of, but I’ve found that L5R’s wound penalties make it fairly unlikely that a near death character will be attacked. Certainly the GM could be vindictive about it, or maybe the character in question is the target of an assassin, but most of the time the enemy will focus on healthy characters rather than waste precious actions finish off a crippled PC. I’ll certainly concede that Defense isn’t completely useless, but I stick to my assertion that it isn’t useful for it’s ostensible purpose, which is making bushi harder to hit in combat. RE: professions in general, the “Jobs” list from In The Labyrinth still makes my heard hurt; I’m playing the damn game to GET AWAY from fretting about making a living, not to simulate it. Worse, if I remember right they also carried it over to GURPS as well.